Factory Shopping in Cape Town South Africa is easy to do when you know where to go! Like many expats who move to Cape Town you might be wondering where to find great deals when shopping for furniture, home appliances and home textiles in the Mother City. If you don’t want to buy expensive appliances but want to buy the best brands at bargain prices, check out Cape Town's numerous factory stores. 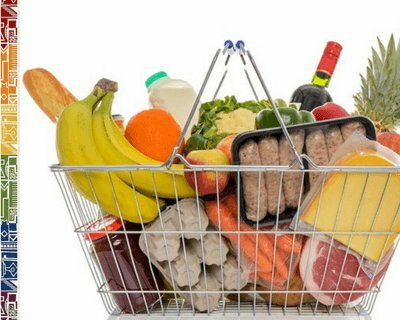 Cost-effective shopping is surely the way to go, especially when you will move here only temporarily and think about quality, value and trade price of any household item. So how about checking out the factory shops in Cape Town to save a bit of your expat budget for treats and to get more out of your time in the Mother City? Here are our personal favorites when looking for great factory shops for furniture and home appliances in Cape Town. Tafelberg Furnishers: Scratch and Dent Warehouse Sale in Northgate Shopping Centre, N1 Northgate Estate, easy too reach also from the intersection M5 and Koeberg Road. Contact them for more info about special deals. www.tafelberg.co.za. Scratch and Dent Sale and some of the items are rejects or seconds. You will be able to purchase additional warranties. Block & Chisel Warehouse: 99 on Main. Tel: 021 7125193. www.blockandchisel.co.za. Unique and sophisticated local and imported furniture and accessories at great prices in their 'Bargain box': Chairs, Tables, Beds, Cupboards, weekly new stock. Kolnicks Factory Outlets at Sheraton House, De Waal Road, Diep River. www.kolnicks.co.za. Good for bedding, fabric, curtains and linen. They have five factory outlets in Cape Town suburbs: Athlone, Bellville, Somerset West, Monte Vista and Diepriver. Main store and office is located in Diep River. Glodina Towels: 1 Blignaut Street, Wellington. Tel 021 873 2813. www.glodina.co.za. Top quality towels and fine bed linen. This is the only Glodina factory shop in the Western Cape. Various Access Park Outlets (see below) also house furniture and home stores such as Furnicraft, Home Depot or Bed Linen. Access Park - This is the place to go to factory shopping! Cape Town's foremost factory outlet centres are set in Access Park, off the M5 (Kenilworth) and at Bellville off R300 on Voortrekker Road. 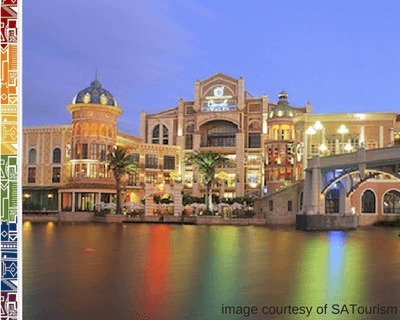 These outlet centres have a large variety of outlet stores covering international brands, such as Adidas, Puma, Lacoste, Levi's and many more such as homeware stores or luggage stores. More information here. Get some special bargain deals at the expo at the Cape Town International Convention Centre when you visit the Factory Shop Expo which is on from 30 - 31 July 2016. There will be hundreds of items on sale, all at factory shop prices. More than 60 factory outlets will take part and show their wares. So this is certainly an event in Cape Town not to miss if you are on the lookout for great deals! Tickets are only R30, children under 16 get free entrance. Get your tickets beforehand here or get them at the door. Opening hours: 9h00 until 18h00 at the CTICC. Find more info here. Disclaimer: Please check with the shops for more info on their factory shops and genuine factory shopping in Cape Town. For great tips on factory shops and great factory shopping in Cape Town we recommend you get this book which you can buy in local bookstores: Pam Black: The A-Z of Factory Shops in the Western Cape. You can find her book on factory shopping in Cape Town at all major bookstores in South Africa.